If you think that the Nether is a very simple challenge and you can easily survive there, then download the Hellish Nether addon for Minecraft PE 1.2. This is a behavior pack that will complicate your life after you get to the Nether. The main inhabitants of this terrible place will not be changed externally but their parameters such as health and damage increase. Now you have to take better weapons and plenty of food and potions to stay alive and fulfill the task. How to activate the addon? Addon automatically replaces the behavior model so you can do nothing after installation. 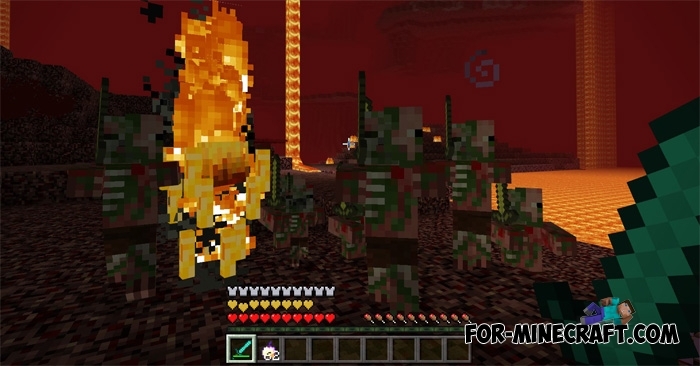 The only thing is that modified mobs are only in the nether so hurry up there. If you run out of strength, then use a secret bait. 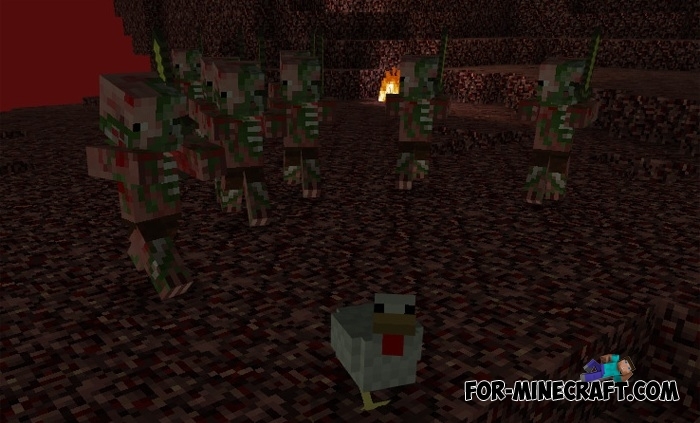 Chickens are the main enemy of all creatures living in the nether world so if you are trapped and do not know what to do then throw a few eggs further away and run. All enemies will forget about you and start hunting for chickens. 1. Download the addon and open it using MCPE. 2. Start the game and activate the behavior and resource pack in the world settings. Comes Alive PE Mod for Minecraft PE 0.14.0/0.14.1/0.14.2Comes Alive mod will make villagers in Minecraft Pocket Edition 0.14 are much smarter and now you can communicate with them, interact and even build loving relationships.